Change is definitely in the air this fall as producers Thom Cardwell and James Duggan launch qFLIX Worcester 2018: New England’s LGBTQ+ Film Festival, October 11-14, in the City of Worcester, for its second year. 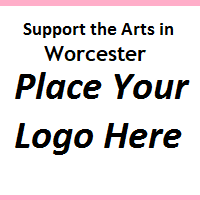 After a successful first year in 2017, the festival headquarters will again be at the Hanover Center for the Performing Arts, 2 Southbridge St., Worcester. This year qFLIX Worcester will be presented by Discover Central Massachusetts. In cooperation with producer Bill Egan and associate producer, Worcester native Yolanda L. Walker, the four-day festival will bring the latest and best LGBTQ+ indie films from around the globe to the greater Worcester region as a major and cultural event during the city’s fall season. “Our intent in presenting qFLIX Worcester this fall is to enhance both the growing arts and cultural vibrancy in Massachusetts’ second largest city to increased visibility and support of the LGBTQ+ residents in Worcester and the surrounding area, and its geographically well positioned between Boston and Providence,” explained Duggan. “This year’s programmers are consciously seeking to find undiscovered talent, the newest, youngest and alternative of LGBTQ+ voices and visions among the nation’s and the world’s filmmakers who have tackled a wide range of topics from the complexities of relationships to the more politicized side of the lives of all LGBTQ+ in their struggle for acceptance, tolerance, freedom, equality, human and civil rights,” he said. These days LGBTQ+ filmmaking has become widespread with the increase of awareness that such communities exist worldwide along with the impact and accessibility of the internet in addition to the inexpensive and available technology to produce films, unavailable even a decade ago. Giving the festival an international flavor, he boasted that shorts, documentaries and features being screened at qFLIX Worcester will come from as close as New York City to as far away as Hong Kong, Argentina, Norway, France, and Canada in this year’s lineup of more than 25 films. They have been selected, according to Cardwell, who served as artistic director along with producer Egan, from some of the leading LGBTQ+ and mainstream festivals across the nation and around the world from San Francisco, Toronto, New York City, Los Angeles and London. In addition to film screenings, qFLIX Worcester 2018 will host receptions, parties, talkbacks, and the coveted “audience awards” that are voted upon via a phone app and announced on closing night on October 14 at the Hanover.